What Is the Purpose of the 3 Shelf Workshop Trolley? 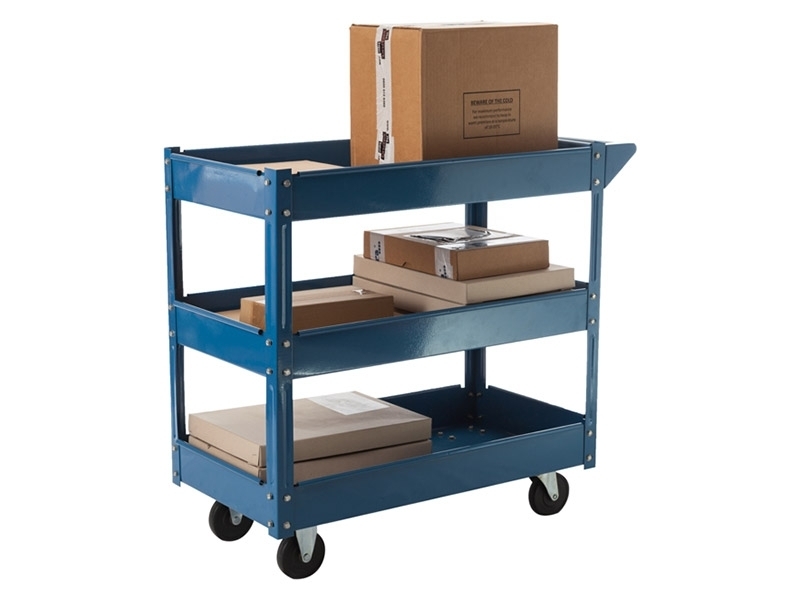 The 3 Shelf Workshop Trolley serves to make the working life easier for anybody who needs a bit of mobility in their job. This could mean mobility between tasks and projects, or simply the ability to move objects quickly and easily without excessive manual handling. The workshop trolley acts as the modality by which you can make your workplace mobile and versatile. This hand trolley takes a heavy load and makes it easy to move. 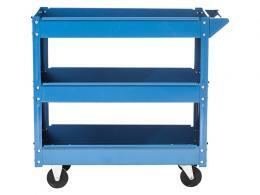 The tubular steel welding of this heavy duty platform trolley makes for an extremely tough product. A pull along trolley such as this one is protected against any sort of decay or damage by a powder-coating that protects the steel frame. It is supplied in a standard blue. Where Can This 3 Tray Trolley be used? 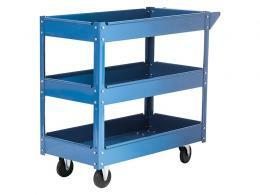 This cart has the trays needed to make your job easier. Your tools are safe, your other products are safe. This cart works for automotive shops that need to move heavy pieces of equipment without a problem. 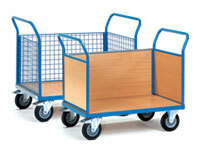 The design of this cart makes transport on the 2 swivel wheels and 2 fixed wheels very easy. Who Might Use This Tray Trolley? This industrial trolley would suit the mechanic or mechanical engineer who needs to store parts on the go and move heavy objects around the shop. 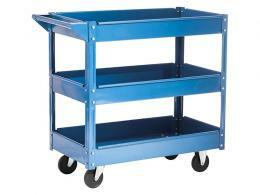 This trolley has a number of features suitable for the rough workplace. It has a strong welded steel frame that is powder-coated for protection. The cart stands 770mm high and is wheeled around by 2 swivel wheels with brakes and 2 fixed wheels for easy steering. It has a one year warranty on all parts and labour.